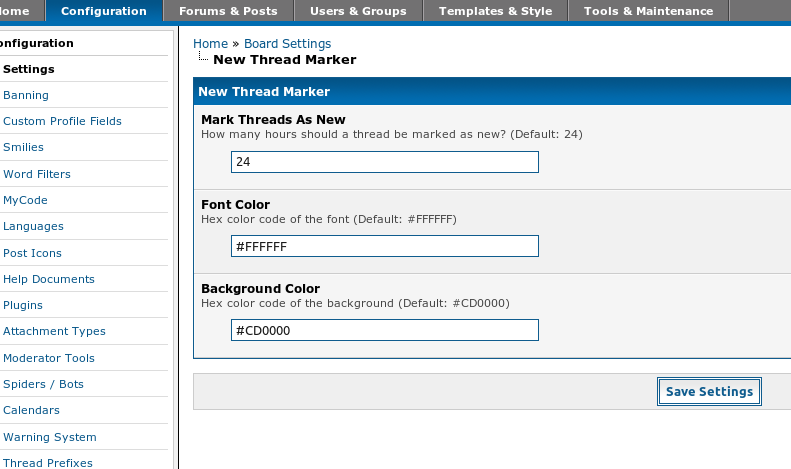 New Thread Marker plugin for MyBB. Displays a marker in front of new opened threads in forumdisplay and search results. In ACP can be set, for how many hours a thread is marked as new. Font color and background color of the marker can be set in ACP too. Go to your "Admin-CP: Configuration - Plugins" and click "Install & Activate" behind "New Thread Marker". Go to your "AdminCP Configuration - Settings - New Thread Marker" to change the settings to your liking. Go to your "AdminCP - Plugins", click "Deactivate" behind "New Thread Marker" and click "Activate" afterwards.